Allow me to explain with an example from another field. When I was touring with puppet theater, my audience was kids from kindergarten to sixth grade. They weren’t the ones who hired me, though. I sold the shows to teachers and parents. That was my market. As an author, I’m writing for a specific audience but I have to sell the novel to an editor, who then has to sell it to the sales team, who then has to sell it to a book-buyer. That’s my market. There’s often a lot of overlap between the audience and the market, but not always. When working on a story, I think it’s useful to think about who you are writing for. Just as in natural conversation, the way you tell a story varies wildly depending on who you are telling it to so does the way you write a story vary depending on your audience. For instance, if I am doing aSnow Queen retelling, it will be completely different if I am writing it for an elementary school audience than it will be if I am writing it for an adult SF horror audience. You can look the reviews of any book on Amazon and see that the way a story is told doesn’t work the same way for every reader. That’s okay. Your audience does not need to be the entire world. It can be multiple groups though, sometimes even groups that seem incompatible. You still have to tell the story you want to tell, but the way you tell it depends on who you are talking to. That’s why it’s important to know who your audience is. So how do you learn to write for an audience? First of all, don’t try to write for everybody or chase the market. When I write, I am my first audience. I will often just write the story I want to read, and then when I edit it, start thinking about audience. Sometimes that does mean thinking about the market, for instance with themed anthologies, but primarily in terms of who their audience is. Mostly though, that means picking someone I know and writing the story for that specific person. In other words, you can create a sample audience. For example, when I wrote “Clockwork Chickadee“ I specifically wrote it for Beth Wodzinski. She loves language, and birds, and stories that are a little odd. Compare that to “Scenting the Dark” which I wrote for Jason Sizemore at Apex. He loved really dark SF, that was visceral. You can read any two paragraphs of those stories and see that they are stylistically very different. Note that I wasn’t writing for the markets that these stories sold to. I was writing for people I knew who represented the audience I wanted to reach. 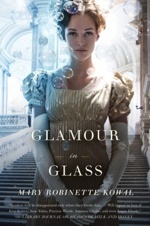 Mary Robinette Kowal is the author of Shades of Milk and Honey (Tor, 2010) and Glamour in Glass (Tor, 2012). 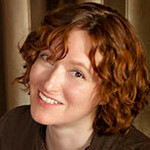 In 2008 she received the Campbell Award for Best New Writer, and in 2011, her short story “For Want of a Nail” won the Hugo Award for Short Story. Her work has been nominated for the Hugo, Nebula and Locus awards. 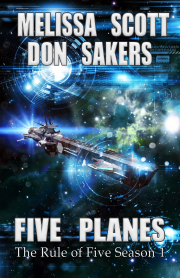 Her stories appear in Asimov’s, Clarkesworld, and several Year’s Best anthologies. She served two terms as SFWA’s vice president. Mary, a professional puppeteer, also performs as a voice actor, recording fiction for authors such as Seanan McGuire, Cory Doctorow and John Scalzi. She lives in Chicago with her husband Rob and over a dozen manual typewriters. Visit www.maryrobinettekowal.com or her journal, where this post first appeared. I also write the story myself or my friends would want to read. Its comforting to know that I’m not doing something arrogant by not focusing more on market!